Danish kendamas x Japanese art. Our dear friend and skilled artist Mimoe has joined us in creating a new series of kendamas. We are very proud that she has chosen to work with us as we know just how dedicated she is to her art. 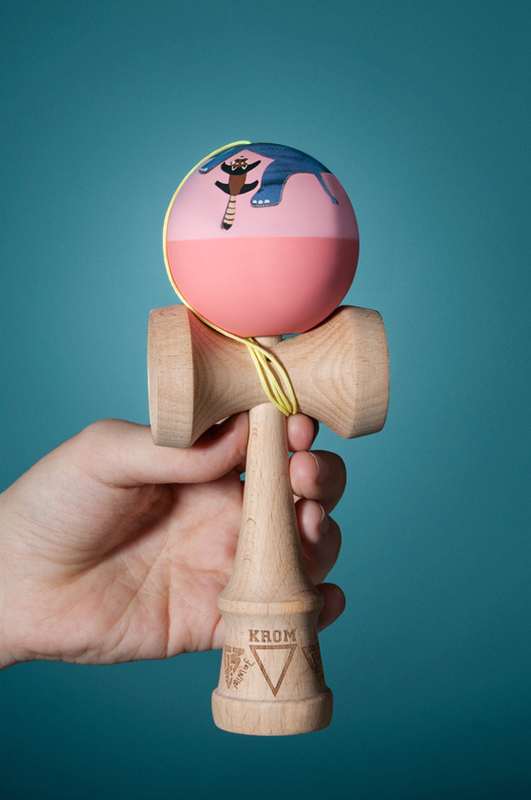 This kendama is super honed and has been optimized by the KROM Pro team to fit all styles of play. They each carry lots of playful shapes and colours that brings you to smile when jamming. Slip-safe rubber top allowing awesome trick. Sticky enough for boarder balance while slick enough for lighthouse. Bigger hole for endless spikes. KROM Scope Line, so you can always track the hole. Extra string, stringing tool and sticker.